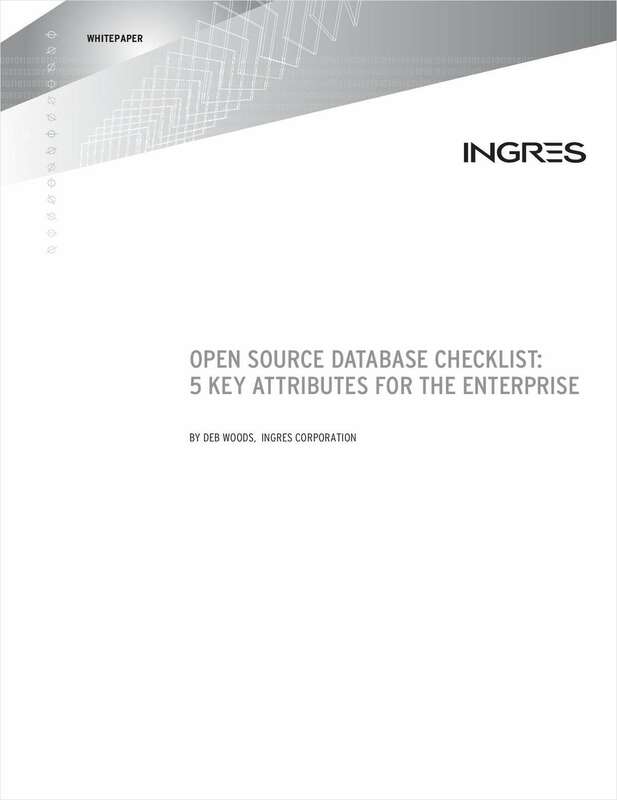 "Open Source Database Checklist: 5 Key Attributes for the Enterprise"
Free White Paper: "Open Source Database Checklist: 5 Key Attributes for the Enterprise"
What is Enterprise Open Source? In this free white paper, learn 5 key criteria to look for in an open source database for the enterprise. By submitting this content request, I have legitimate interest in the content and agree that Ingres, their partners, and the creators of any other content I have selected may contact me regarding news, products, and services that may be of interest to me.